I think this fella is a black crappie. 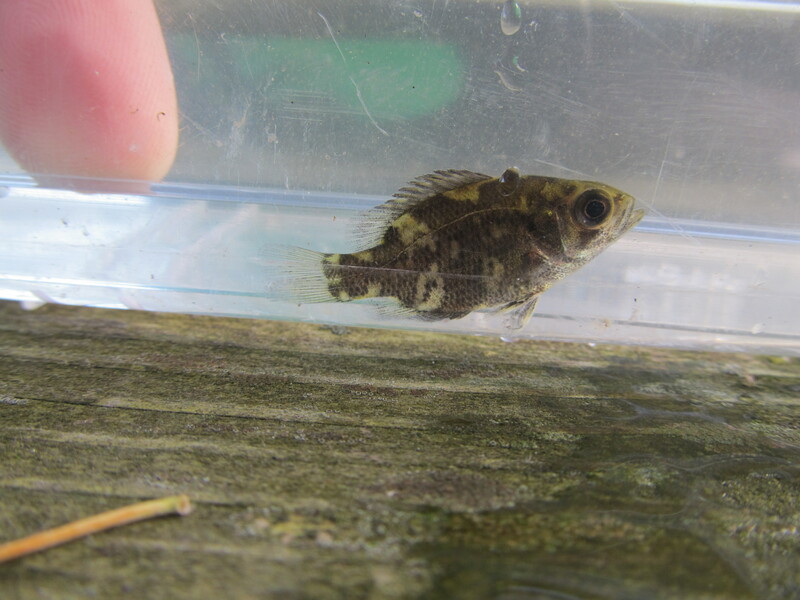 I originally thought this was a Fantail Darter, but it doesn't look quite right. Also, it was HUGE. 8.5 cm. His front dorsal appeared damaged and was rarely raised. But it had a black spot at the rear. Rock Bass and Round Goby. 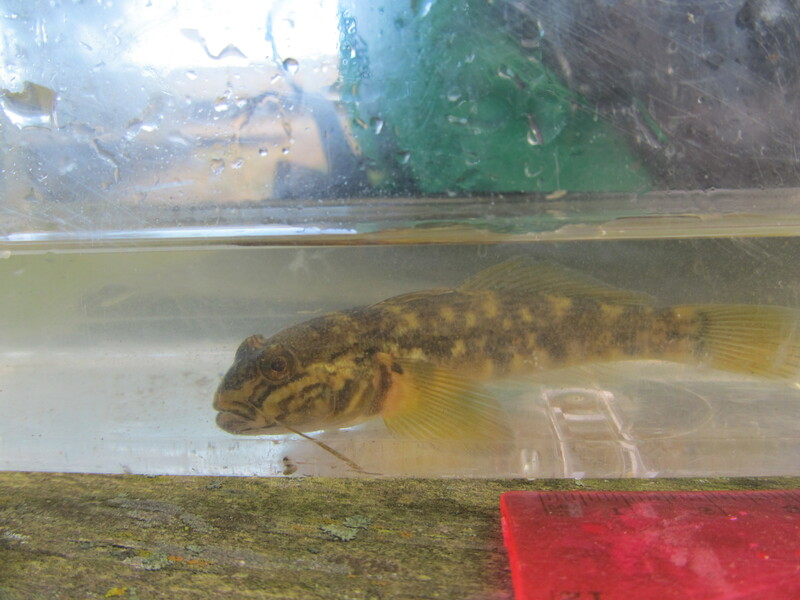 Gobies do look like darters, but the pelvic fins are fused in gobies, and the 1st (spiny) dorsal fin is much shorter (base length) than the 2nd (soft rayed) dorsal. In darters the two dorsal fins are closer to the same size. Definitely not a crappie. At that size they would totally look like adults, just small. Agree with rock bass. Thanks all! Two more checks on my list.